Inexplicata-The Journal of Hispanic Ufology: INEXPLICATA: UFOs in History: Latin America and Spain. INEXPLICATA: UFOs in History: Latin America and Spain. 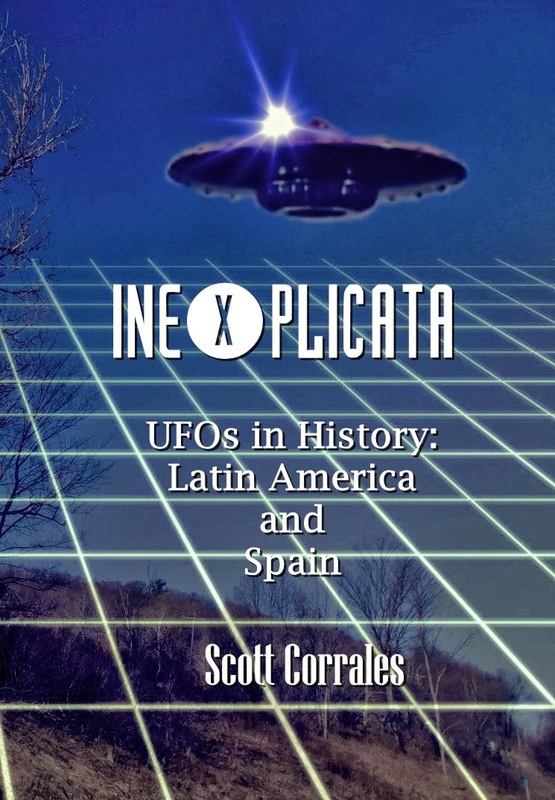 We are pleased to present the final installment of the INEXPLICATA series of monographs: UFOs in History - Latin America and Spain, which rounds out the information we wanted to make available to the public in a more accessible form than random entries scattered across the Internet. UFOs in History is by no means exhaustive and is simply a quick reference guide, giving the reader an idea of the wealth of cases available to researchers in Spanish-speaking regions of the world, going back to Colonial times in the Americas, and prehistoric times in Spain. While it borrows sections from other works that are no longer in print (i.e. Flashpoint: High Strangeness in Puerto Rico) there is enough new material to make it a worthwhile read. 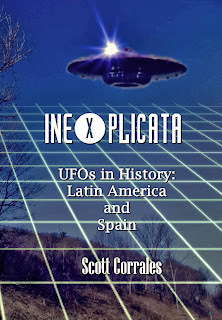 We invite our readers to stop by http://www.scribd.com/doc/176266394/INEXPLICATA-UFOs-in-Latin-America-and-Spain for a look!